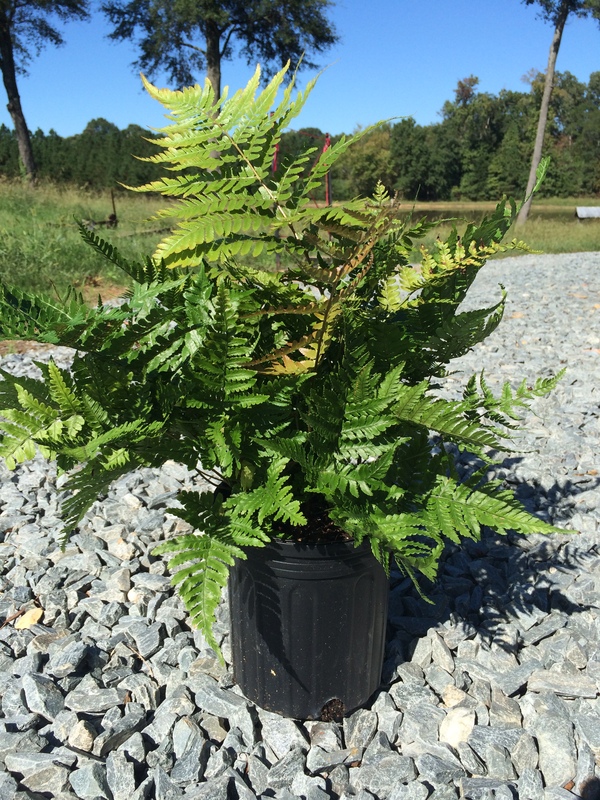 Autumn Fern emerges in the spring with striking burnt orange foliage that matures to a beautiful deep green. Grows 18 inches in height and spread. Prefers moist, well drained soil and partial to full shade. Deer resistant.